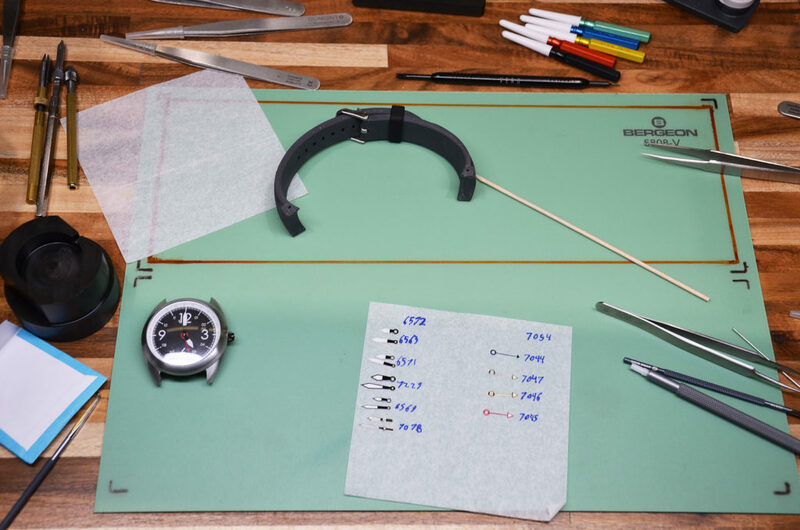 In 2015, Chris Boudreaux and Danny Recordon established VERO Watch Company to create watches using high-quality, locally-sourced materials that not only have a great look, but also designed for a comfortable fit. Their watches are designed, prototyped, built, polished, assembled, engraved, tested and serviced in Portland, Oregon. Each piece is a work of craftsmanship and looks like a piece of art. 2018 is going to be a big year form them as far as next steps for the company. In addition to just finishing up Prosper Portland’s 2017-2018 Peer to Peer program, Chris and his team have 2 new watch categories, a new website and a new pre-order of their new SW line launching in the next couple of months. Part of this launch includes more videos and photos highlighting their unique processes. Tell us a little bit about your company how did it get started? We started envisioning the brand a few years ago, with the desire to create a high quality product that would last. With most of the products we interact with regularly being so temporary, built to be obsolete in a couple of years… having a few things of value that weren’t so fleeting was really appealing. Something we could get excited about and stand behind. I came from retail (owner of Athletes Lounge on NW Vaughn), and was really ready to have more control of the brand and product. What we sold, how it was made, style, things like that. For inspiration, it’s definitely the classic american styling. There are always trends that go in and out of fashion, but the classics never disappoint. Something as simple as a white t-shirt and jeans, or a nice suit. A well built car, a worn leather wallet, and a good watch, things that don’t look out of place in any setting now, or 50 years ago. I think how many steps go into production of our watches surprise people. The total span from idea to a deliverable product is pretty long, but that’s pretty common even if you aren’t handling production in house. There are hundreds of very small parts in any mechanical watch, and everything has to be perfect. 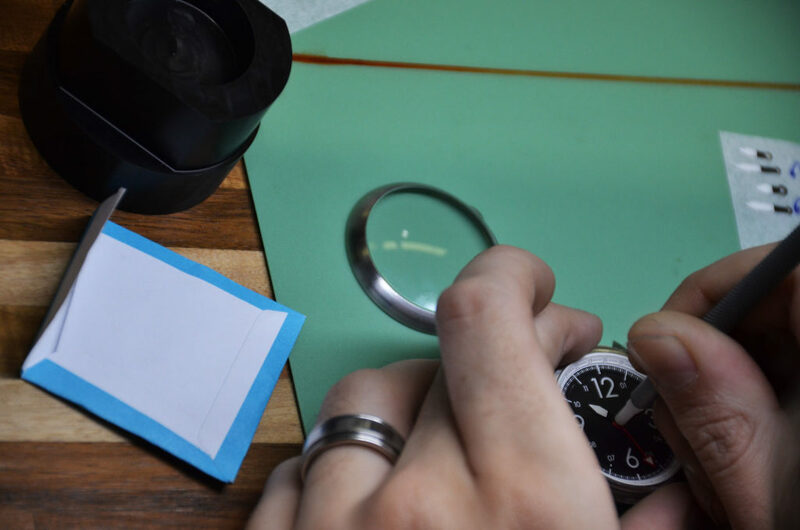 We test, assemble, and warranty all of our watches. The case production can sometimes be overlooked but perfect tolerances, making water tight cases and crown interfaces, getting the polishing and graining just right, it’s many weeks of work on every single watch. 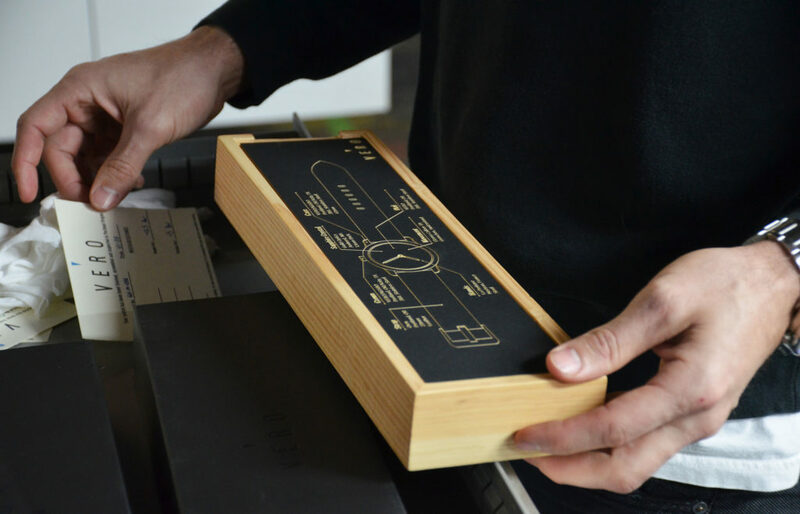 Our pad printing of dials is a very precise step as well, and can take quite a while to get perfect. Anytime someone visits our workshop and sees the process, they definitely leave with a different appreciation for how our product is made. How did you get involved with Prosper Portland’s Peer to Peer Program? I met Sue Bal at Wildwood & Co, and had a really good conversation about the opportunities and support available for companies like ours though Prosper Portland. The Peer to Peer program sounded exactly like what I was looking for. I had some experience in business, but had other people who did a lot of the early leg work and set things up. 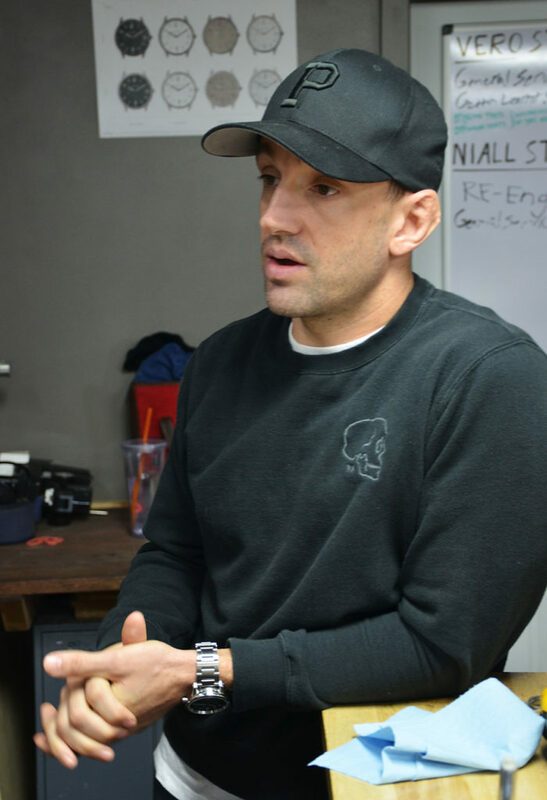 But starting a brand from scratch was a new experience, and I definitely wanted to have people to lean on who had similar experiences. What has the Peer to Peer experience been like? The process has been awesome. Sean (Beers) and Sue are very passionate about making every meeting valuable. Early on, they set a precedent of expectations and goals of the program. It wasn’t supposed to be some cocktail hour where we just hang out. We have an expert speaker for each session’s topic, a pretty specific agenda, and homework after each meeting. It’s been very valuable, and has helped me have a better understanding of what boxes I need to check at every stage of this business. Lots of things I hadn’t really implemented at the early stages of the business, I had a greater sense of what I needed to prioritize. What was the best part of being part of the Peer to Peer program? It seemed like every month, our topic seemed to be about exactly what I was working on/struggling with at the time. Bookkeeping and financial specifics, digital marketing, go to market strategies, advisory boards, etc… It was all just very timely, and almost funny to me how perfectly each session aligned with what I needed at the time. The biggest takeaway from all of this, is don’t try and do everything by yourself. Sean regularly tells us not to try to become experts in every part of business, it won’t happen. For someone starting their own company and product line…clearly define your values. Like, what is the most important part of why you are doing this? Are you clear about what the company will look like in 10-20 years? Because you are going to have to adjust things constantly in a new business. It’s never going to go exactly like how you planned. But those values and long term vision can help you know if this is a change you can make, or you can’t. Because if you sacrifice too much, you don’t have anything to guide your decisions. I think that is the same advice for starting the Peer to Peer program. Sean and the other presenters will challenge you on what you’re doing with your company. If you know what you want out of it, the advice, the things you need to fix, will all bring you closer to those goals. If you don’t know what you want to get out of all this, it’s hard to really put it into practice. Where else do you go for support and advice? I think we all have people around us we can reach out to, but sometimes we hate to bother them, or maybe we don’t want people we respect to know how much help we really need. I had people I would reach out to occasionally, but based on this program, I saw how important having an official advisory board, with regular meetings, specific agendas, and members that bring specific knowledge and value around that advice I’m seeking. So the people I surround myself with for support all have very specific areas of expertise (finance/fundraising, brand identity, sales and marketing strategy, etc…). Portland is pretty unique in the amount of very talented and knowledgeable people in such a relatively small city. Interested in the 2018-2019 Peer to Peer program? Contact us or sign up for our email newsletter.